Over the past two weeks, we have discussed the first two steps of planning your city's very first CupcakeCamp - laying the groundwork and finding a venue. This week, we finally get to a step that is far less complicated and, dare I say, fun? I'm talking about finding a graphic designer to help with all your CupcakeCamp visuals. If I have learned anything in the past year since CupcakeCamp NYC, there are plenty of graphic designers, and many of them are college kids who will work for free. For instance, I was lucky enough to have a friend who is hoping to change his career to a more graphic design-related field. As such, he was more than happy to volunteer his services to my CupcakeCamp NYC efforts. Once you have a graphic designer on board, it's safe to say that your job will be exponentially easier. Not sure how to upload graphics to your blog? Call your graphic designer! 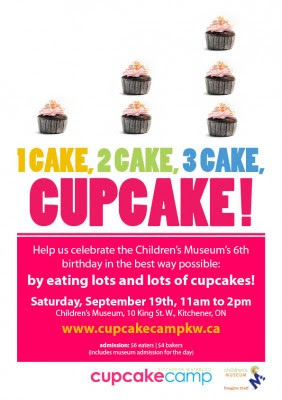 Not sure how to reconfigure the CupcakeCamp logo for your city? Get your graphic designer on the horn! But keep in mind - he/she is working for free so keep the demands to a minimum. The one task your graphic designer should be assigned is the poster design for your event. 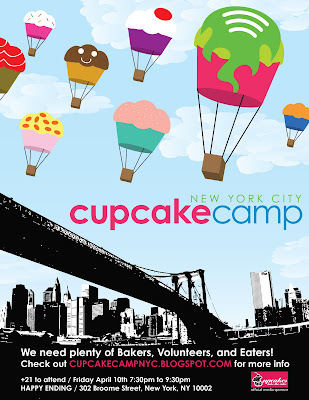 For CupcakeCamp NYC, we used the poster design for postcards so we could leave them in local New York City bakeries as a way to attract our target audience: cupcake fans. Additionally, our poster was to serve as the face of the event and was distributed to all media outlets during our PR outreach. Logo: Obviously, the CupcakeCamp logo needs to be on there. That's a no brainer. Event details: Once again, this seems obvious but you would be surprised how many event fliers I've seen that didn't have important information, such as the date, time and location of the event. Make sure your flier contains the date, time, venue name and full address, event e-mail address for enquiries, website address, and any other details worth mentioning (age restrictions, such as 21+, etc.). 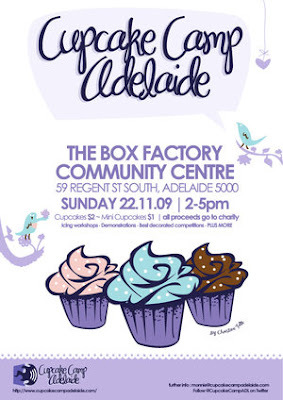 Sponsors: If the venue hosting your CupcakeCamp has a logo, include that on the flier. It's the least you can do for them considering they are giving you their space for free. Any other sponsors should have their logo included too. 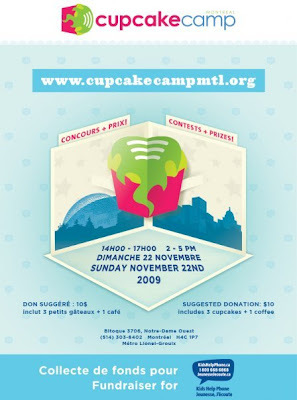 For instance, Cupcakes Take the Cake was the media sponsor for CupcakeCamp NYC, so of course, their logo was included. Most importantly, your poster should capture the spirit of your event. I was so proud with the way the New York City CupcakeCamp poster turned out as I felt it was a perfect representation of not only CupcakeCamp but New York City as well. 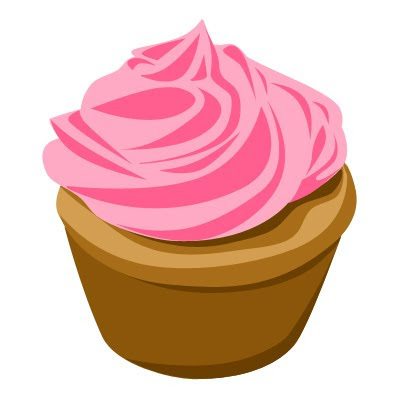 Next week, we'll be moving onto to step #4 of planning your very own CupcakeCamp: recruiting bakers.